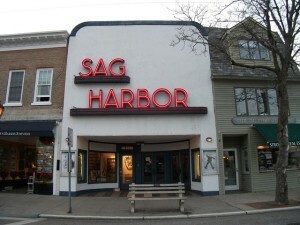 While Sag Harbor, NY might stand out for being a luxurious part of the Hamptons and its Whaling and Historical Museum, the town still has to deal with the same problems that are universal to the region. One of those problems for Sag Harbor 11963 is how to deal with power outages in the area. Fortunately, PowerPro Generators Inc. has generators for sale Sag Harbor to solve the problem. For home generators contact us at 631-567-2700. We also have industrial generators for sale in Sag Harbor. We are the generator installation Sag Harbor, NY expert. But if residents prefer they can have their own contractors perform the installation. In those circumstances we do recommend that homeowners ask the contractor if he has experience with this type of installation in Sag Harbor, NY and with the brand that is being offered. PowerPro is the leading GENERAC generator Sag Harbor and Kohler generator Sag Harbor seller. Because generators will need maintenance, such as annual filter and oil changes, PowerPro supplies Preventative Maintenance plans to make sure Sag Harbor, NY 11963 residents have properly working equipment in case of any possible power failures. For generator repairs give us a call at 631-567-2700. PowerPro is an authorized seller, installer, and repairer of all of the previously mentioned generator brands in Sag Harbor, NY 11963.